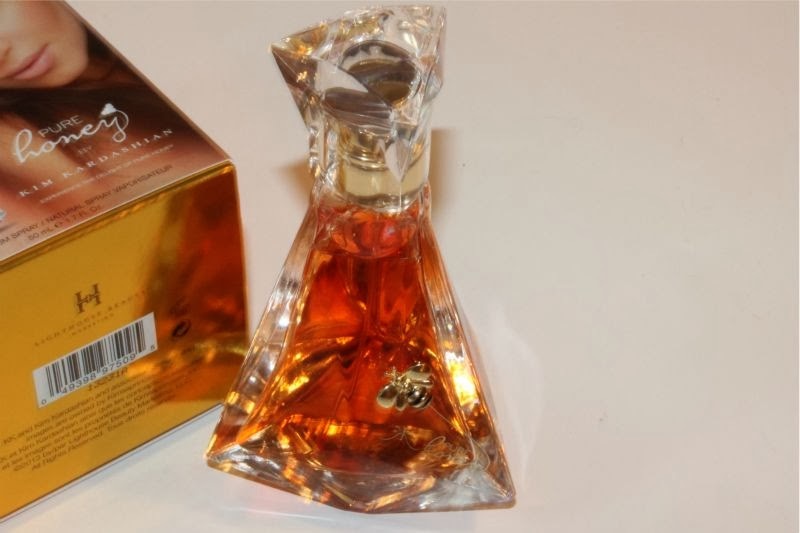 Although I may not be a huge fan of Kim Kardashian I will admit to having a soft spot for her first fragrance Kim Kardashian - Kim Kardashian and would recommend it to anyone who likes a pretty floral that is laced with sweetness. 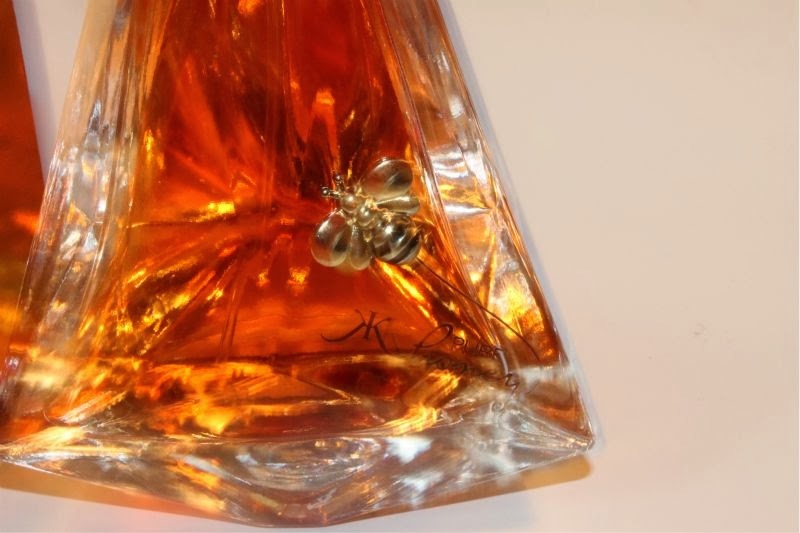 The newest Kim Kardashian fragrance is Pure Honey which I do think anyone who enjoys the scent of honey, sugar and honeycomb will lap up. Another admission is that I'm not a fan of honey in any form but as I like Marc Jacobs Honey offering I thought I'd give Kim Kardashian's Pure Honey a go. 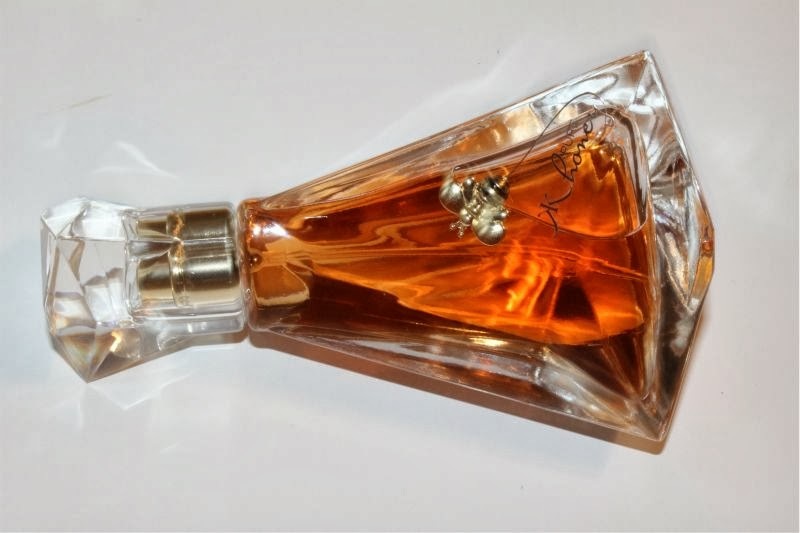 The bottle is rather sweet and dare I say it inviting - an art deco inspired bottle with a cuter than cute little golden bee. Do I like Pure Honey? In a word no because it smells exactly like real honey but when you think about it that is rather impressive. Kim Kardashian Pure Honey contains notes of red rose, soft freesia and mandarin as its top notes, at the heart is sugared honeysuckle and lady orchids. At the base you will find creamy coconut, raw wild honeycomb and vanilla. Basically Pure Honey is a bright yet sensual honey floral fragrance that some may find a little sweet but if you are looking for a fragrance that smells true to real honey this is the one. I would also say that if you enjoyed The Body Shop's Honeymania range this is one for you. Sadly after a few hours of wear this does fade to a musk and then an obvious powdery talcum scent and the general longevity of this fragrance is poor.